Pueblo appreciates the work that the Design Justice Network did to develop a set of principles that we value and are committed to applying in our work. These principles are listed below with modifications to include planning in parentheses. 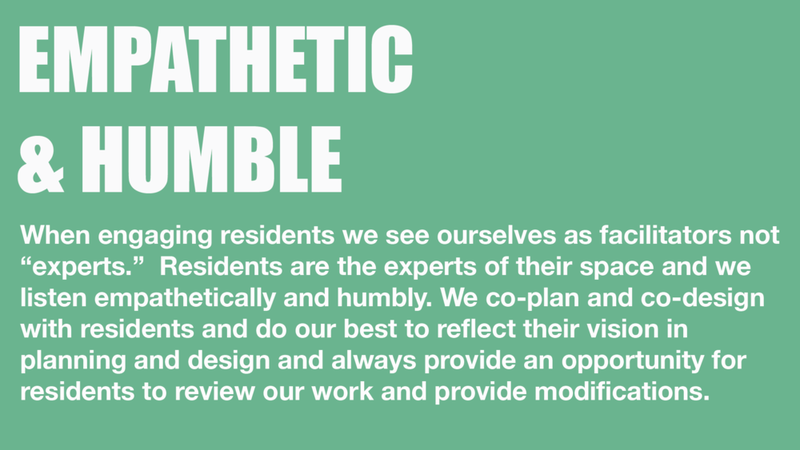 We use design (and planning) to sustain, heal, and empower our communities, as well as to seek liberation from exploitative and oppressive systems. 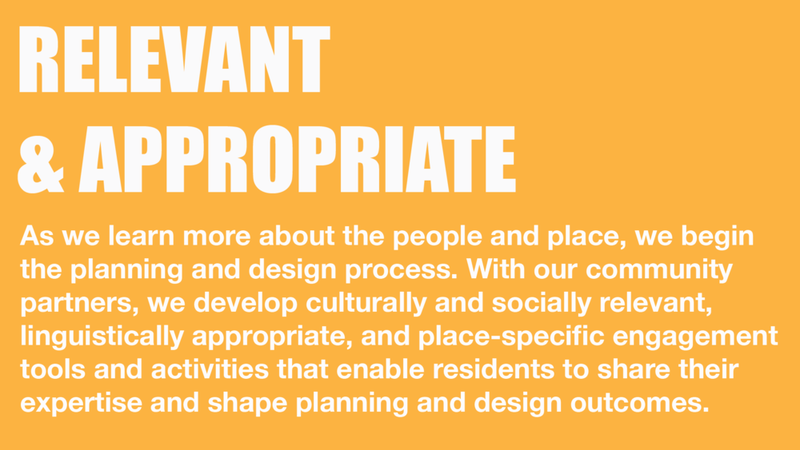 We prioritize design’s (and planning’s) impact on the community over the intentions of the designer. We see the role of the designer (and planner) as a facilitator rather than an expert. We share design (and planning) knowledge and tools with our communities.